SCREENSHOT 11) Interface details – MAC and name of the network device you want to use. Click on “YES”. Choose the type of your network. For this installation we do not use our wifi, so we use our wired network. Choose if between automatic and manual TCP/IP setup. 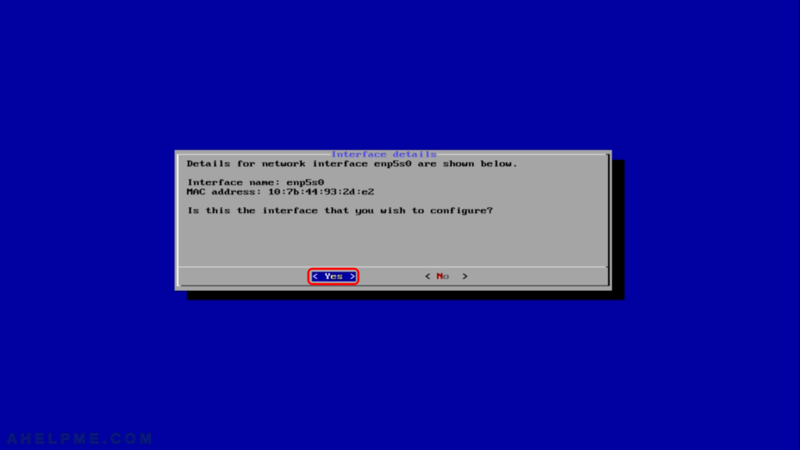 Because if you have DHCP server in your network you’ll have an IP set during boot, so we decided here to show you a manual setup. Choose here “Specify an IP address manually” and then hit “OK”. 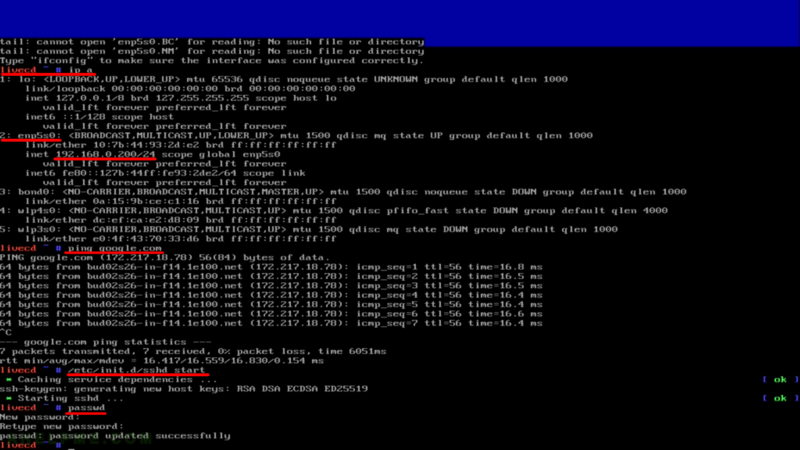 SCREENSHOT 14) Choose your favorite syntax ifconfig or iproute2. No difference except slightly in the syntax, so we choose here the new utility: “Use iproute2 to configure the network”. Then hit “OK”. Set the IP address here. We set here: “192.168.0.200/24” – the netmask is 255.255.255.0. Set the gateway of your network, we set here: 192.168.0.1, because this is the IP of our router. Set the DNS server in your network, it’s probably the IP of your router, bu you can use a public DNS server as “8.8.8.8”, which is offered by Google. Enter “8.8.8.8” and hit “OK”. Leave blank and just hit “OK”, we won’t use this. 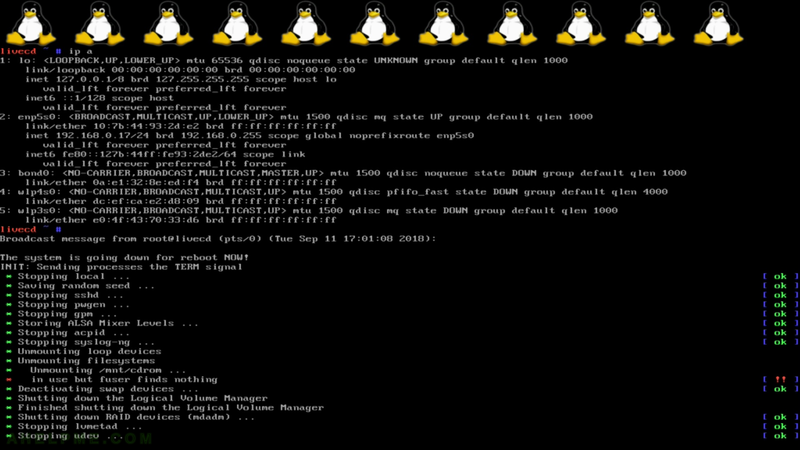 Start openssh daemon and set a new password to be able to log in the server remotely, which is way to easy to manage the server – from your console. You could have used this installation CD with IPMI KVM, iDRAC, iLO or other remote server management software.